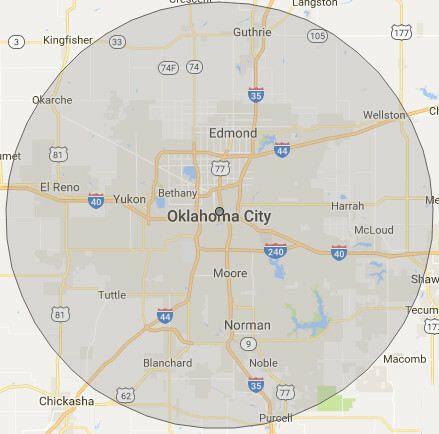 Licensed and bonded in OKC Metro and surrounding cities. Technicians are licensed by the State of Oklahoma. 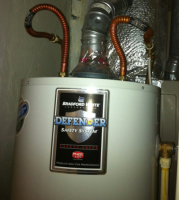 Stone Creek Plumbing Service offers complete water heater repair and placement service for gas and electric units. 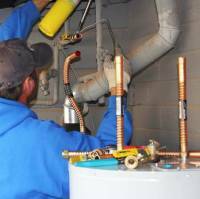 Whether your water heater needs a new heating element, thermostat, valve, venting or complete replacement we can handle the job in the most cost effective manner possible. 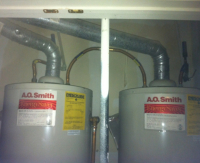 Building code for the state of Oklahoma requires that both gas & electric water heaters located in the garage be elevated off garage floor level. The city of Edmond requires water heaters be elevated 18" above the garage floor level. If you need a new water heater, we recommend you select the unit of your choice at a local home improvement center so you spend what you want. Just pay for the unit and we'll even pick it up FREE of charge if you like!